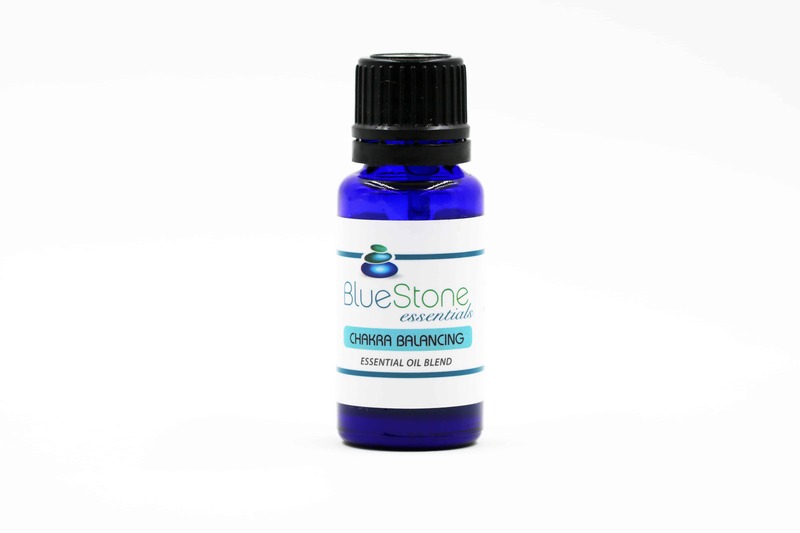 BlueStone Essentials Chakra Balancing Blend is an unforgettable combination of Sandalwood, Neroli, Ylang Ylang and Bergamot. Chakra, a Sanskrit word of which means “wheel” or “vortex” refers to the life energy force that vitalizes and flows through all living things. Each Chakra is a different color, spins in a circular motion and connects to specific regions and nerve centers of the body and, ties our physical to spiritual self. The Chakras are affected by our positive and or negative thoughts and actions, and therefore, negativity may cause the Chakras to become blocked or thrown out of balance. Chakras, once out of balance, leave the physical body vulnerable to illness both physical and mental. 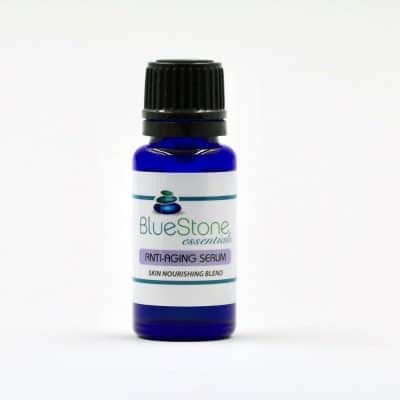 BlueStone Essentials Chakra Balancing Blend stimulates the Chakras, keeping them healthy and in balance, it uplifts ones spiritual self, helps to open the third eye (clairvoyance) and promotes positive energy. Sandalwood; a powerful anti-inflammatory, reduces stress, anxiety, depression, may reduce symptoms of coughs and colds, increases concentration, anti-bacterial. Neroli; reduces symptoms of anxiety, stress and depression, has mild aphrodisiac properties, is an anti-bacterial and helpful in reducing symptoms of bronchitis, congestion, sinusitis and colds. Ylang Ylang; has strong stress reducing properties instilling a felling of peace and wellbeing, calming and promotes a restful sleep, promotes healthy skin and hair. Bergamot; calming, reduces anxiety and stress, promotes healing of wounds, is an excellent detoxifier, rids parasites and makes for a nice deodorant as it inhibits bacterial growth and smells nice. A hint of floral aroma, blended with the perfect balance of citrus. Very uplifting and stimulating! Add a drop or two to your favorite carrier oil and apply directly to the skin over the Chakra you wish to balance. For daily use and to protect your Chakra’s from negative energy, in your hand add a drop or two of Chakra Balancing Blend, rub hands together and wave through your aura (completely around and approximately 3” beyond the physical body). Protect and or treat your environment by placing in an oil diffuser, vaporizer or burner. You may also add a few drops to a cotton ball, place in a dish and set on your desk at work or anywhere in your home.